WGV is a 2.2ha medium density development in the Fremantle suburb of White Gum Valley. The LandCorp ‘Innovation Through Demonstration’ project showcases precinct-scale design excellence on a number of levels by incorporating diverse building types, climate sensitive considerations, creative urban greening and leading-edge energy and water management strategies. 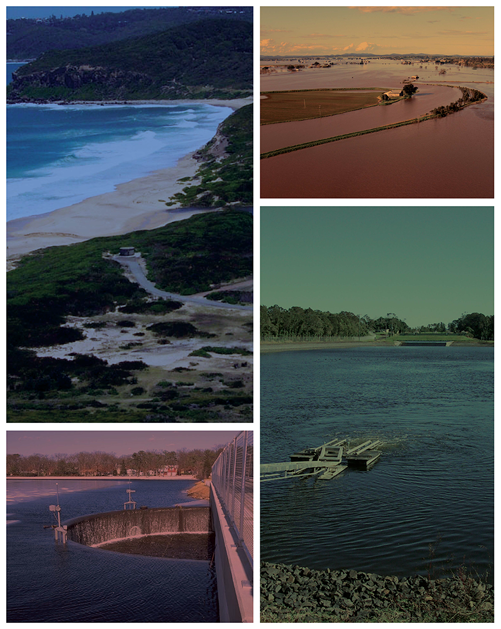 The innovations at WGV are being captured via a series of research programs in cooperation with research partners including Curtin University, the CRC for Low Carbon Living, CRC for Water Sensitive Cities and ARENA. With a number of dwellings now occupied, performance data and practical learnings are being collected and widely shared to inform subsequent development projects by LandCorp and others. Aquarevo is a new community developed through cooperation between Villawood Properties and South East Water. Located in the heart of Lyndhurst, this new urban infill community will ultimately have 460 residential dwellings on a 42-hectare site. The development features 5 hectares of open space, wetlands, parks, and walking trails. Aquarevo aims to be Australia’s most water and energy-efficient urban residential development, pushing boundaries for what can be achieved in sustainable living. Enabled by technology Aquarevo homes will use up to 70% less drinking water than a typical Melbourne home through the use of recycled water for toilets, laundry and gardening, and treated rainwater for showering and bathing. A mini electrical grid is being created that will use excess electricity generated from rooftop solar from homes to power the onsite water recycling plant. Villawood will supply each new home with a battery. The first houses are now being built and new residents will be moving in during 2019. One of the most popular communities for first home buyers in Sydney, Willowdale at Denham Court has been accredited by the Green Building Council of Australia for world-leading design excellence, innovation and environmental stewardship and as a centre for future economic prosperity and liveability. 0ne of the greatest strengths of the Willowdale’s masterplanned community and fundam4ental to its achievement of a 6 Star rating, is its liveability. Stockland has excelled with its environmental protection, setting aside remnant vegetation and riparian corridors for rehabilitation, which will create a natural, green setting and outlook for the community, while encouraging greater biodiversity and habitat. Stockland has also created and built one of the most sustainable project homes ever built in Australia. This house is designed to achieve close to net zero emissions through its range of energy saving and ecologically sustainability features. Barangaroo is one of the most exciting urban renewal projects in the world today. When completed, Barangaroo aims to be the first precinct globally to be carbon neutral and, in addition, is committed to be water positive, to create zero waste emissions and contribute to community well-being. To become Australia’s first large scale carbon neutral precinct, Barangaroo includes centralized infrastructure such as Sydney Harbour water cooling, embedded electricity networks, recycled water treatment plants and on-site renewable energy generation. Fairwater is the first community in NSW to achieve a 6-Star Green Star rating and it is located in Blacktown. This development is setting the benchmark in residential development through its sustainable practices and community programs. The development has over 9.5 ha of parklands, wetlands and waterways. The wetlands and riparian zones treat stormwater, support ecological diversity and have a cooling effect on the landscape. The housing typologies within Fairwater have been designed to maximise sunlight and uses sustainable materials. Each has innovative ducted geothermal heating and cooling to reduce energy usage.